The kitchen is a versatile, highly trafficked space in any home. As a trade pro, you understand how important it is to get a customer’s kitchen remodel just right. The ProSource® of Elk Grove Village staff will help you find the best products for the projects at wholesale prices. Need some design assistance? Our highly trained professionals will be able to assist. Visit our showroom to get started today! A major aesthetic feature of any kitchen are the cabinets. When it comes to design, style, and finishes, the kitchen cabinets need to enhance the space experience. 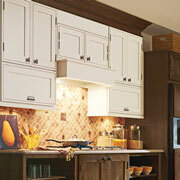 We offer a multitude of cabinet styles, designs, and finishes to meet any customer’s kitchen remodel needs. Once you have chosen your cabinets, you’ll need cabinet hardware. 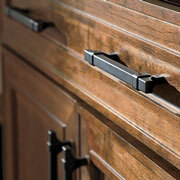 Handles, knobs, brackets, and other features are important to complete the look and feel of your kitchen cabinets. We offer a broad selection of hardware to accessorize any cabinet setup. If you’re looking for a wide variety of colors, styles, designs, and materials, ProSource of Elk Grove Village can help you find the best kitchen countertops for your customer’s projects. 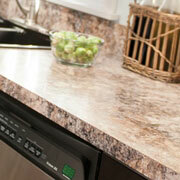 Visit our showroom and choose from our more popular options like granite or quartz or find a unique solution. 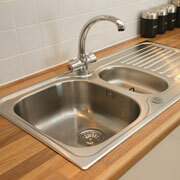 As a cornerstone of any kitchen, the sink is a versatile feature. If you’re looking for a single bowl, double bowl, or something custom, ProSource of Elk Grove Village can help you. We understand how important the sink is to any kitchen, as well as, the faucet, and we offer a large selection to fit your customers’ needs. 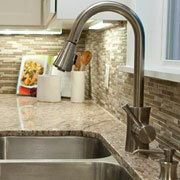 The key factor in faucet selection is functionality. The secondary factor is style and design. Our expert staff at our Elk Grove Village location will help you choose the best kitchen faucet for your sink, whether you want a single standard set up or a double standard with spray function.